Anyway, after years, I have FINALLY watched Douglas Sirk's 1959 supreme "women's weepie," Imitation of Life. My Mom was born in 1959. This is my Mom's favorite movie, or at least one she talks about all the time. She, no doubt, tried to get me to watch this thing many times when I was young. I always rain checked it though, never bought in. I made it a point, this year, to finally do it. I'm proud of myself. And it was actually a rather easy watch, despite the utter devastation of the final act. Over the past month, I've been familiarizing myself with the melodramatic romances of Douglas Sirk, including, most notably, All That Heaven Allows (1955). While I still like it better than this one, it's really apples and oranges. 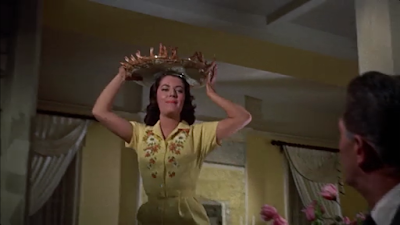 Imitation of Life is a fine tearjerker, and I so get why my Mom loves it. It's about Mothers. It is much more for her...than me. My Mom grew up poor, the second of six sisters, near The Big South Fork in Scott County, Tennessee, right on the Kentucky line. Her own Mother, a woman I never met, became stricken with Multiple Sclerosis in the early 1970s, leaving my teenage mother and her one older, mostly younger, sisters to care for each other, their father, and their eventually bed-ridden mother. You can make your own inferences about my Mother's character, but I will be downright honest on these facts: She is tough and strong, a bit crazy, and she loves tearjerkers about Mothers and Daughters. Other than James L. Brooks' 1983 masterpiece, Terms of Endearment, I can't think of a better film in that vein than Imitation of Life. Two mothers and two daughters, a family built of necessity and societal travesty, embodying a tale embedded in its time period, yet timeless in its sympathy for independent, driven, totally loyal women. At the heart of the story, though, despite the poster art and star power, is not the struggle of Lora (Lana Turner), an ambitious, initially struggling actress and widowed mother of Susie (Sandra Dee). No. This story belongs to Annie (Juanita Moore) and the trial she, a Black woman, undergoes with her own daughter, Sarah Jane (Susan Kohner), after giving years of her life in partnership/service of Lora's rising star. Sarah Jane is very light-skinned. She easily passes for White, a problem she can't ignore given that it is so easy for her to hide her lineage. Consider one of many heartbreaking scenes in which Annie rushes to the school house to deliver Sarah Jane her galoshes on a wet, wintry morning. The teacher is shocked to see a "Colored woman" in her classroom. There are no "Colored" students at this school. Sarah Jane has not told her teacher about her Mother. For shame...in more ways than one. I was struck by the completely sheer nature of this film as a critique of society and a study in what the Black author and activist W.E.B. Dubois coined as the African American "double-consciousness," or the internal conflict ingrained in Black people between satisfying a role in a racist White society, while also grasping at their ancestral roots as descendants of Africa's enslaved peoples. Identity cannot be formed with that condition. It is what causes Annie to secure the only life she could at the time, one of servitude to a White family. It is also what causes Sarah Jane to distance herself from it entirely...because she can. Lora and Susie are good to Annie and Sarah Jane. They are more sisters or cousins than upstairs or downstairs, yet the difference is staggering. At one point, Lora realizes that she didn't even know Annie went to the Baptist Church on Sunday or even has friends. This can't have been an accident on the part of Sirk and his screenwriter, Eleanore Griffin. I read that Sirk's film pays much more attention to this Black side of the quadrangle than the original film version, a 1934 film starring Claudette Colbert. It is a good choice and is ultimately what saves the film, in its second half, after becoming too hokey for its own good in its first. 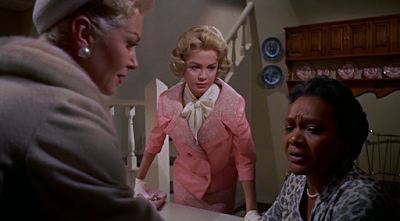 The opening scenes of Imitation of Life move way too fast, the classic Sirk artifice almost overbearing, the pointedness of the racial divide far too on-the-nose. But we root for Lora. She is a kind woman, knows what she wants, and, at the pleading of would be love interest, Steve Archer (John Gavin), who tells Lora how his "camera could have a love affair with" her, decides to do also as he says and "chase her rainbow." It is wholly charming in that way. When Annie talks her way into Lora's home, it is with genuine affection: "I like taking care of pretty things," Annie says, upon Lora's inquiry into why she ironed her dress. All of this speaks to the chemistry among such a stellar cast. Turner and Moore, specifically, give top-notch performances. We believe these people would find and love each other. We believe they are actual people. Through her own dealings with the politics of the time, especially the dominance of the sleazy male in show business, Lora, like Annie, also deals with a conflicted identity. Mother? Wife? Girlfriend? Actress? Star of the stage? Of course, until she gets her big break at the hands of the talent manager Allen Loomis (Robert Alda) and playwright David Edwards (Dan O'Herlihy), to whom she will become muse, making her way into stardom and wealth. Ten years later, with a bigger house and even more opportunity, Lora and Annie's paths remain in convergence, even in terms of their relationships with their now teenage daughters. Yet, the emotional core is still on Annie and Sarah Jane. There are so many moments of pure pain in second half of Imitation of Life it's hard to even recall them all. Most of them have to do with the full-on rebellion of the Sarah Jane character. She has had it. Sneaking off with a White boyfriend, which she confides in Susie (to her shock), railing against everything her mother stands for, ultimately running away, prompting a final act game of cat-and-mouse. The harshness of this is: Sarah Jane is the cat, and Annie is the mouse. Only in this case, we have a terrified cat and one brave mouse (with reinforcements). In the midst of all that, Sirk straight up brings the pain. He brings it in his perfectly composed color frames, interesting shots that create a perspective for the audience to fully empathize with the audience. Perhaps my favorite scene in the film is when Annie gets word that Sarah Jane has taken a job as a dancer in a sleazy Brooklyn night club. Sirk's camera finds Annie insulted my White men the minute she enters, but she keeps on moving, hiding behind a shutter dividing the room, shadows across her dark face. This is cut with the obtuse angles of Sarah Jane's dance routine, old men's faces in close up, shouting and hollering. It's just...sad. I whimpered and cried through most of the final 20 minutes or so. It is just such a tender sequence of events that literally cut right through me. This is not a perfect film. The troubles emerging at the same time between Lora and Susie are simply upstaged, which hurts it narratively, makes it feel rushed, yet I like that about this film at the same time. And you simply cannot deny the power of Juanita Moore and Susan Kohner, both nominated for the Supporting Actress Oscar. And I get it, like I said about my Mom. She loves this movie because it is, ultimately, about a rebellious young woman in a strained relationship with her Mother. It is a common but timeless tale through which so many Mothers and Daughters have lived. But I would imagine that, despite the issue not being race, my Mom identifies with Sarah Jane. That she wished she could've had more time, more appreciation, the ability to say what she really meant or how she really felt or even taken the time to understand her Mother's point of view. Alas, life doesn't always give us that sort of closure. In fact, it never does. Few films are as ballsy to end the way this one does...with just pure pain. In that final shot, we get everything we need to know about the greatest pain of life, pure and simple...and now the title of this film makes perfect sense. I have not seen this film in so many years that I would need to see it again with fresher and better eyes. I was only a teenager be hen I saw this. I'd say it's worth a re-watch. I've been anxious for you to get to this on your Blind Spot and happy to see that you liked it. The film is full of so many layers it's tough to see them all in one go through. It's true that the Annie/Sarah Jane relationship dwarfs the Lora/Susie one but I think what adds to the film is that there are several crisscrossing relationships to keep the audience engaged. One that really drives so much of the action, aside from Annie and her daughter, is the one between Annie and Lora. Their relationship, though there is never a whiff of any physical attraction, becomes very much like a marriage over the course of the film with Lora the hard charging breadwinner and Annie the stay at home caregiver and the success of the one is supported by the implacable reliability of the other. Neither Annie nor Sarah Jane live like the help with Sarah Jane obviously well-educated and cared for and Annie's room is enormous and expensively furnished. In a way that shows how deep, early and long lasting Sarah Jane's problems and complexes are. When she acts out in that cringe worthy way in front of Lora's guests and Lora lays her out for it, Sarah Jane admits that she's never been treated differently by them and also provides a glimpse into the fact that it is a problem so ingrained that she's never going to be able to conquer it. It also manifests in the relationship Annie has with Susie being her sounding board and adviser since Lora, quite unintentionally concentrates her focus and energy on ever greater success to the detriment of the mother/daughter dynamic with her own child as it is the reason that Annie's day to day life is unknown to her. As you said Lora's a kind woman with the best intentions, and when it really matters she's right there and steadfast, but the details are not her strong suit. Some of the impact of Lora & Susie's conflict has been lost over the years since when the film came out Lana was still recovering from the sensational trial that she and her daughter Cheryl had just endured when Cheryl stabbed Lana's gangster boyfriend Johnny Stompanato to death to protect Lana when he was threatening to disfigure her with a clothes hanger. Of course with that sort of scandalous occurrence there were all sorts of rumors, all unfounded, that there was a triangle situation and the relationship in the film seemed to allude to it. Taking note of the potential similarities Lana had not wanted to do the film but was in a spot since the trial had nearly bankrupted her and her career had taken a hit. So she did the film for a reduced salary and points which turned out to be a life saver when the movie became a monster hit. Then there is the look of the film. 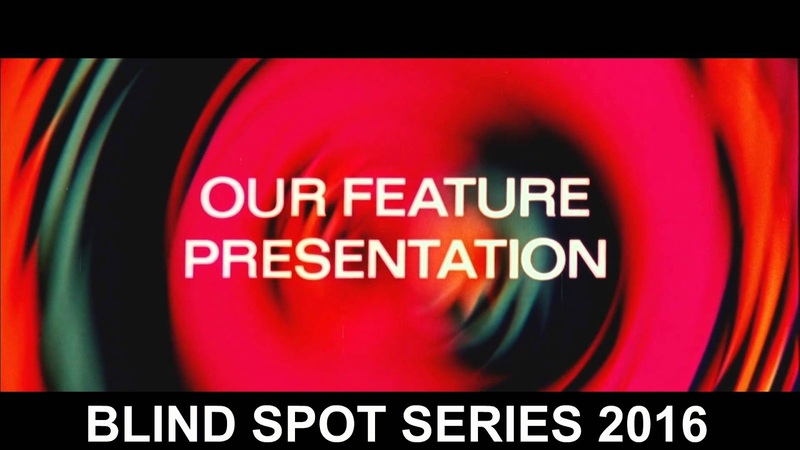 Both the setup of shots which Sirk was a master of maximizing, you pointed out a great sequence in the nightclub, the film is loaded with them...too many to list. There is also the incredibly lush feel of the film right from the beginning with the diamonds dropping under the credits to Lora's staggeringly beautiful wardrobe once she becomes successful. All that's terrific but without Sirk's assured hand and the performances the film would be just another potboiler. Lana is marvelous and I think undervalued, in many ways she was Lora Meredith, she nails her big scenes and is just what is needed to carry the picture, a MOVIE STAR. However she just can't compete with the mesmerizing work of both Susan Kohner and Juanita Moore. Handed totally different characters they each play them exactly right. I think Moore's is the greater achievement since playing a completely good person without turning them into a plaster saint is a difficult tightrope act. I could go on and on I love the film in so many ways but I really enjoyed your take on it. Thanks, man! You are so right about the layers. This is a movie worth about four or five more essays. I had to stick with one point or this reaction might've become a Master's thesis (lol!). On that front, I see myself revisiting this again in the future, looking at the Lora/Annie relationship a bit more closely. It felt a bit tacked on this time around, but I think I was just so drawn in to the race issues so well developed by Sirk and Co.
That story about Lana and her daughter and the boyfriend is great stuff! I have never heard that before. What an ordeal to come into this film with. This really is a great-looking film with great performances. One I'm really glad I finally got to. Thanks, as always, for your wonderful commentary. You hit the nail on the head. This film really is driven by Anna and Sarah Jane and the magnificent performances all around. That scene in the classroom is a real heart-breaker, as is most of the movie. Excellent review. Thanks, buddy. This movie really is full of heart-breaking scenes. I haven't seen this movie, but I would absolutely love to. The only movie I can think of that has this same vein is the wonderful 1996 film, Secrets & Lies. I have told you this before, but you need to watch this (along with Mike Leigh's other films). Yes. Check it out, man. This is my favorite of the Sirk melodramas I've seen, largely because the camp/unintentional hilarity factor is low, replaced with genuine feeling. You're right of course that the Annie/Sarah Jane material is more interesting than the Lora/Susie material, but I think that's by design - the problems of rich white folk are inherently uninteresting when compared to those of people marginalized by society, and especially by someone who is straddling both sides of the line like Sarah Jane. Sarah Jane's relationship to her race, and thus, her relationship with her mother, is infinitely more complicated than Susie's relationship to hers - which basically boils down to "I have a schoolgirl crush on the man who had romantic designs on my mother who constantly turned him down, and resent her." You can't get much more rich-people problems that that. And yet, there's something there, too. Lora is not your typical romantic heroine - she repeatedly turns down Steve because she is a strong, independent woman (Annie aside) and wants to remain that way. She doesn't want to be tied down to a man, she wants to have a successful career. She also really seems to care about the work and artistry of being an actress, as opposed to just the fame and fortune. That's all somewhat radical for the time. None of this stops Susie from being pretty much the WORST, though. Sandra Dee tries her best, but Susie is a whiny, annoying, typical 50s teenager, and every moment spent with her is time I'd rather have spent with anyone else in the movie. I think Sirk wanted the focus to be on Annie and Sarah Jane, too. The man was a master at subversively condemning American culture, and this movie is pretty overt in being ABOUT race and racism. But then you realize the whole movie is a sneak attack: Lora is ostensibly the main character, and Lana Turner easily the most famous person in the cast, but the film is really about Annie, and Sarah Jane's dealing with her race and appearance. They have the meatiest roles and give the best performances (although I agree with Joel that Lana Turner is no slouch here). I don't know that Imitation of Life is a perfect film, but MAN do I love it. It's the most effective tear-jerker Hollywood ever produced; no matter how many times I watch it, the tears start flowing in the middle of that hotel room confrontation between Annie and Sarah Jane and don't let up until about ten minutes after the movie's over. I can watch it endlessly and never tire of it, between the sumptuous production design, the downright delicious costumes, the striking cinematography (you are so right about that nightclub scene), and the breathtaking performances. When people deride women's films, or melodramas, or tear-jerkers, I point them to this and dare them not to feel anything by the time Mahalia Jackson rips into "Trouble of the World". Imitation of Life just flat out WORKS. It's tremendous. I'm so glad you had a (mostly?) positive reaction to this. And I love how personal you made this review. Criticism that connects to the personal this openly and this well is the best kind of criticism, in my book. Daniel I remember that you said before that you loved this film, did you know there is a book devoted to the making of it called Born to Be Hurt by Sam Staggs? He specializes in these type of deep focus tomes...he's also turned his eye to Sunset Blvd., All About Eve and A Streetcar Named Desire. The book was a fascinating read added greatly by the fact that he was able to interview both Susan Kohner and Juanita Moore in depth. I vaguely remember hearing that title and author combo somewhere, but not any specifics. Thanks for bringing it up, though. I will definitely seek it out.... and probably those other ones as well! Thanks for such a perfect in-depth comment, man. "I think Sirk wanted the focus to be on Annie and Sarah Jane, too. The man was a master at subversively condemning American culture, and this movie is pretty overt in being ABOUT race and racism." THIS is certainly how I saw this film, but I don't want to downplay Lana Turner or Sandra Dee's work. They are both really great, and I truly appreciated that part of the story. I just found the other half of the story more interesting for my particular tastes. That hotel room scene tho! Good God, man. That is EXACTLY when it hit me. Great stuff. Nice review. Sounds really interesting. Will definitely look to check this out. Thanks, man. Surely worth a watch. I got your email but was really busy this week and wasn't able to get over hear until now. I'm really with you on this. I really like this movie, especially those two key performances, but it isn't a perfect film (and honestly, All That Heaven Allows is just massively better). That finale though...like...I couldn't breathe. I love the personal connection you make here, with your mom and how much this film means to her. Beautiful stuff, bro. Thanks, Drew! And thanks for coming by. It means so much. The finale. Yes! It is a killer and so well done. What a gorgeous review! I started watching this many years ago, and I was interrupted and never came back to it. I should bump it to the top of the Netflix queue. Thanks, Stephanie! Bump it up, girl. It's a must.